Welcome to LEGO® City™: the city that never gets boring! Its streets are buzzing with busy people to meet and exciting stuff to do. If you were lucky enough to live there, what job would you choose? Give three of them a try in this activity pack! Battle blazes with brave firefighters. Catch crooks with the police force. 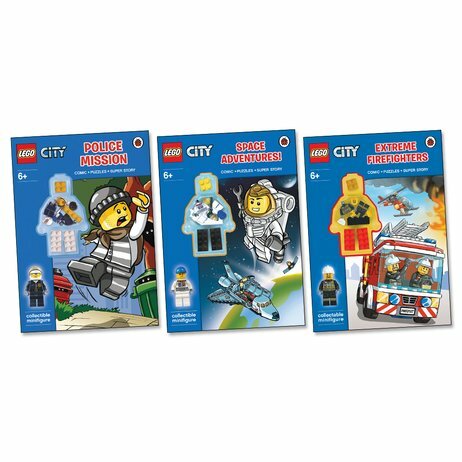 Or join the LEGO® CITY™ astronauts as they zoom to the stars! 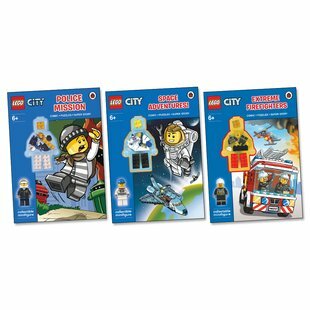 Each book has puzzles, activities, comics, a story and – best of all – a special minifigure to play with. Build your own LEGO® CITY™ at home!